The Ministry of Social Development and Sports announced that Pandora Glasford [pictured] has been appointed as Director of the Department of Financial Assistance. Ms Glasford has assumed responsibility for the overall management and operation of the Department of Financial Assistance, including the programme planning, financial, personnel and administrative functions. She is also responsible for reviewing and developing policy and monitoring and evaluating financial assistance programmes and services. Ms Glasford has a BA in Economics from Acadia University [Wolfville, Nova Scotia, Canada] and an MA in Management/Human Resource Development from Webster University [Saint Louis, Missouri, USA]. She also has achieved several professional designations; she is an ‘Investors in People’ Specialist and an Associate of Chartered Arbitrators UK. 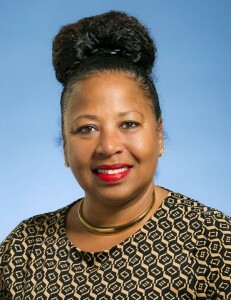 Ms Glasford has worked with Government since 2009 when she became the Executive Officer of the National Training Board [NTB] before transitioning to her role as the Training Manager at the Department of Workforce Development which occurred when the NTB was amalgamated with the Department in 2012. Prior to this appointment she was the Director of Human Resources at ACE from 2004 until 2008 and Vice President there from 1995. Ms Glasford has been on several boards and committees including the Board of Governors at the Bermuda College, the Board of Education and the Bermuda Road Safety Council where she was Chairperson. The Minister of Social Development and Sports Michael Weeks said, “We are pleased to have Ms Glasford assume the substantive post of the Director of Financial Assistance.